The connection between business and society is a popular topic. The social and environmental issues we face on a global level are becoming so significant that there are plenty of business opportunities in contributing to solving them. This is not only interesting from a risk and reputation management perspective. Sustainability can be a platform for profitable growth while solving wicked social issues. A business creates value through a combination of strategy, governance, performance and prospects in an external environment. 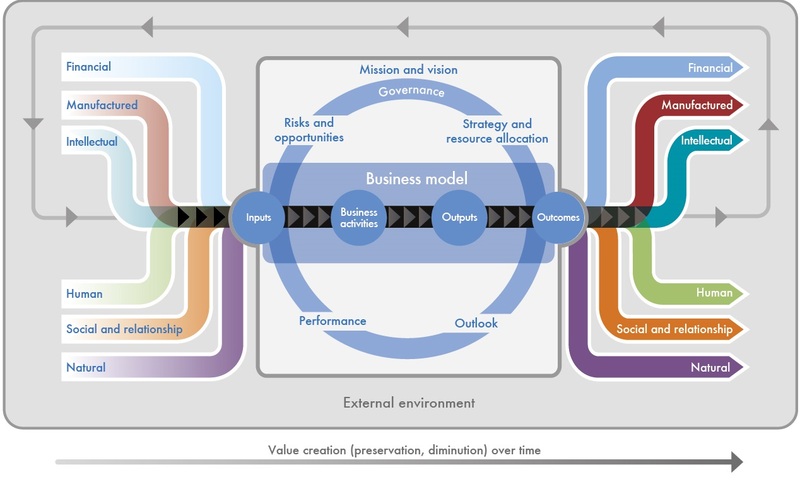 A framework that enables a businesses to bring these elements together – and to communicate the value creation story through the ‘connectivity of information’ - is called Integrated Thinking & Reporting, in short <IR>. At the heart of <IR> is an integrated model, which demonstrates how six capitals – financial, manufactured, human, social and relationship, intellectual and natural – represent all the resources organizations utilize to create value (over time).